This low power MN-station was heard in Lemmenjoki a couple of weeks ago, for a moment completely alone, without disturbances from the channels dominant KRNT Des Moines during cx towards the Rockies. JuliAnne French kindly confirmed my reception. KXXT 1010 has surprisingly been heard in Northern Scandinavia during the latter part of October, 2012 periodically totally dominating over CBR Calgary! When I logged it in Lemmenjoki the station’s program director Ramon Bonilla was giving a promo mentioning his own email address. Just a few hours ago I received a nice email confirmation with two photos attached. Thank you very much indeed Ramon! 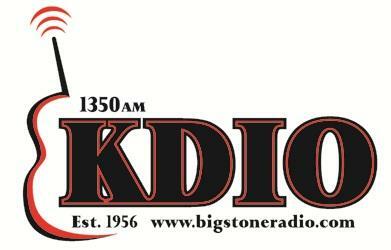 KPUR was heard last week in Lemmenjoki with a vice TOH id as “ESPN Radio 1440 AM in Amarillo, 1550 AM KZRK Canyon-Amarillo”. The station used to carry an oldies format and branded as “True Oldies”. The format was changed, however on October 22, 2012 just before we heard KPUR in Lemmenjoki with its new ESPN programming. 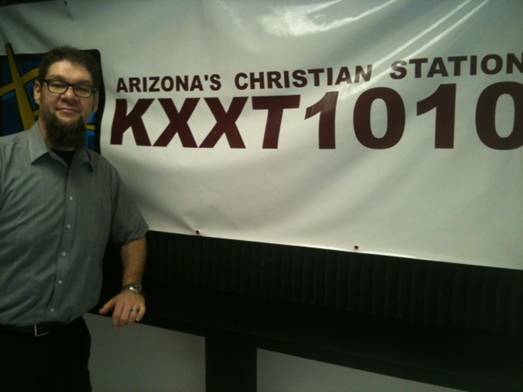 Since KEYS Corpus Christie also carries ESPN 1440 on this frequency it is advisable to be careful not mixing them. KBLY was surpisingly heard on 1260 last week in Lemmenjoki. The more common KTRP Weiser at the same time. Nice for me since it was the first time I have heard KBLY. A short email from Mike Nelson, NewsTalk 690 KBLI-AM and 1260 KBLY-AM rapidly confirmed my reception. Thanks Mike! To hear anything in Scandinavia from Brazil on AM 800 requires very selective cx and a lot of luck. On February 2, 2010 very good cx towards Brazil was recorded already during the early night hours in Lemmenjoki. Two Brazilians were battling for the channel. Of course the superior dominant MEC of Rio de Janeiro with 100 kW but also another one which turned out to be R Universidade, Santa Maria, Rio Grande do Sul! 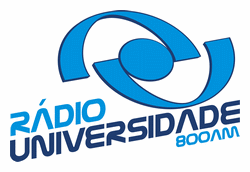 This station is the voice of Universidade Federal de Santa Maria. A week ago I received, after some efforts, a nice email from Milton Oliveira, Programador/Webmaster confirming my reception. Milton also included acorrect QSL-card as a pdf-file. The card was signed by the stations Diretor Celso Augusto Fontoura Franzen.